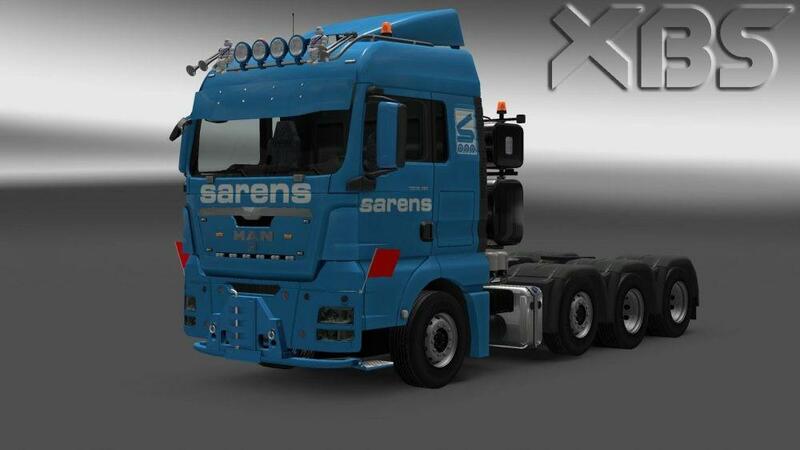 All additional details created in the 3d editor for this truck. Added: Crane Paint (Now the crane can be painted in the color of the truck). 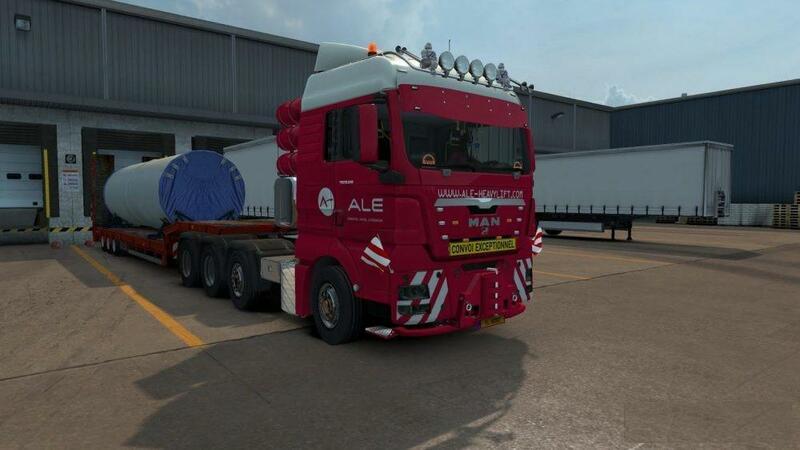 Added: Vertical Exhaust (chassis 8×4/4). Added: Two sideskirt for chassis 8×4 (plate and cage). 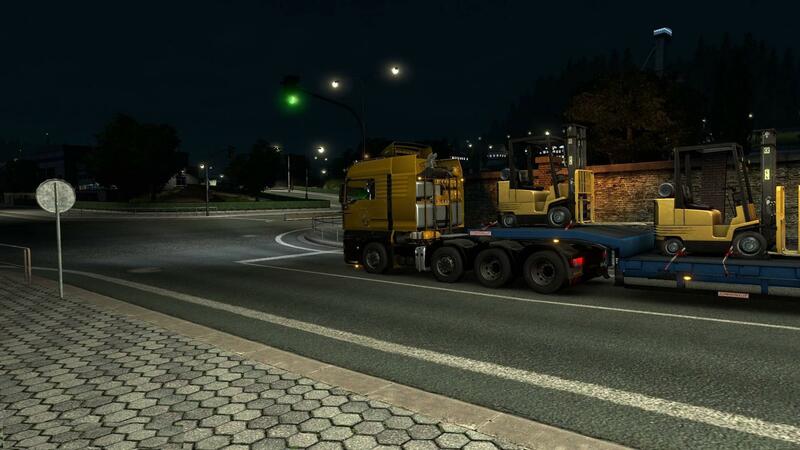 Added: New tow hitches for chassis with crane (bumper heavy duty). Added: Front sign (OVERSIZE LOAD). Fixed: Brightness of dashboard indicators.